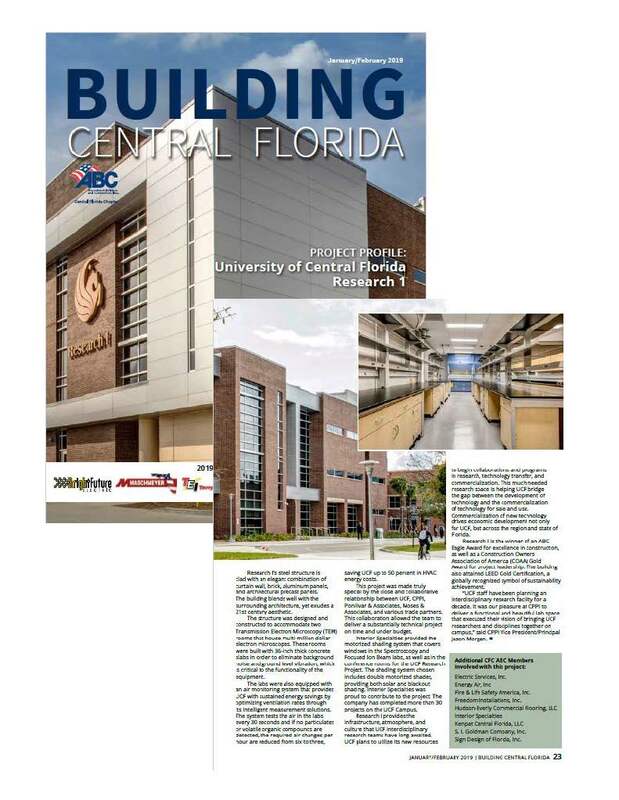 UCF's Research 1 project was on the cover of the latest issue of Building Central Florida. Interior Specialties was proud to contribute by providing the motorized shading system in some of the labs and conference rooms. Read the article on pages 24 and 25 here.